"We are Bunny. We are Lisa and Rachael. We have been writing, devising and performing together for the last ten years to create work that gets us talking. Bunny is short for ‘rabbit’ cockney rhyming slang for ‘Talk’, ‘Rabbit and Pork’, Talk. Our work is honest, at times brutal and always full of love and laughter." Lisa Hammond and Rachael Spence are an artistic partnership who work across television, theatre and community performance projects. Their joint credits include Still No Idea (with Improbable and The Royal Court Theatre); Lowdown (a Channel 4 comedy Blap with Retort); Old Street New Street (with Shoreditch Town Hall and Kuntstraum gallery); Wolfgang and The Princess (Barbican pit labs); Helena and Hermia (RSC studio) and No Idea (with Improbable at The Young Vic). They have also been commissioned by The Globe Theatre to create a piece for their Dark Night of The Soul event in Winter 2018 and they were selected for BAFTA elevate 2018. 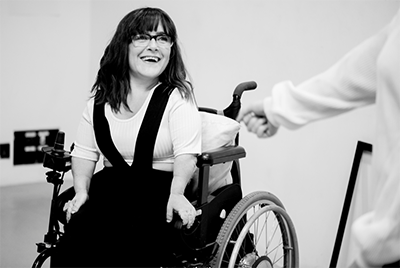 Lisa is an actress, writer and theatre maker. She has worked regularly with Told By an Idiot performing in Shoot me in the heart, A little fantasy, Beauty and the beast and Too clever by half. She has also worked with Improbable on No idea and The hanging man. Other theatre work includes The National Theatre, Trestle, The RSC, Graeae and many other regional and international theatres and companies. She was a regular character in “Eastenders” (BBC) from 2014-2018 her other tv credits include Vera (ITV); Patricia (Sky Atlantic); One Night (BBC); Psychoville (BBC); Max and Paddy’s Road to nowhere (Ch4); Where the heart is (ITV). She has also featured in the BBC’s genealogy programme Who do you think you are? 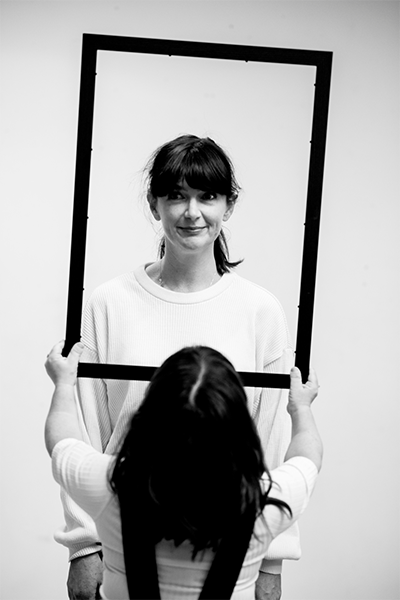 Rachael is an actress, writer and theatre maker who trained at The Central School of Speech and Drama and with Philippe Gaulier. She has worked regularly with Improbable performing in No Idea, The Wolves in the Walls, Theatre of Blood and The Hanging Man. She has also worked for The National Theatre, The Royal Shakespeare Company, The Globe, and many other regional and international theatres and companies. Her television and radio credits include The Lost Honour of Christopher Jeffries (ITV directed by Roger Michell); Thirteen (BBC); EastEnders (BBC); The Best Of Men (BBC); Pilgrim and Filthy Rich (Radio Four).